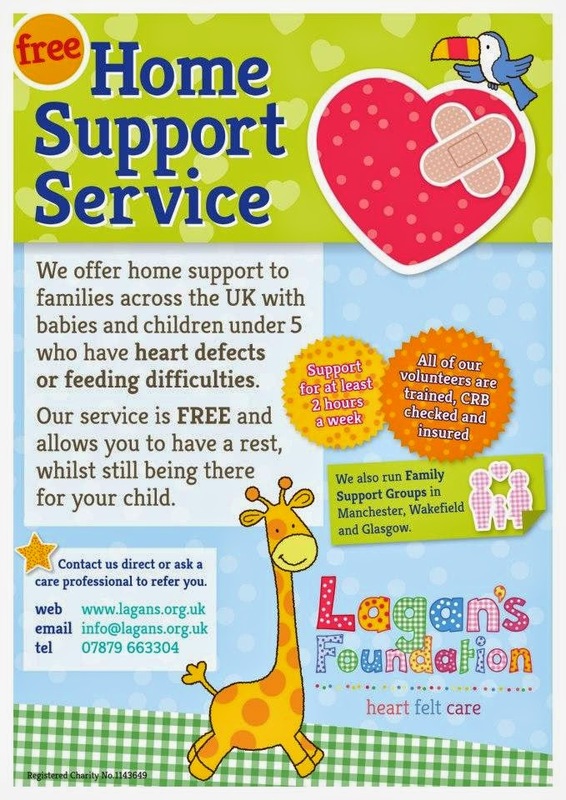 Lagan's Foundation is the UK's only charity offering Free Home or Hospital Support for families with a child under 5 with a Heart Defect and/ or feeding difficulties. What is home or hospital support?Lagan's Foundation supply trained and criminal record checked volunteers to your home or to you on the hospital ward to help you in any way they can. You may just want someone to talk to or you may want a sleep. The service is completely flexible and controlled by you. Who can apply for Home Support? You will receive a minimum of 2 hours help a week or if you would like ad-hoc help this is also available. Are there any restrictions?Parents or Carers with parental responsibility of the child are not allowed to leave the home premises.We do not offer end of life respite. We are the only charity that offer this support and would love to help you in any way we can. We do not offer end of life care but simply offer you, the parents a little bit of breathing space when things seem to be getting too much. Jungle Club is an opportunity to meet fellow Heart Families , with sessions running in Liverpool on the 2nd Sunday of each month and Manchester on the 3rd Sunday of each month. More information can be found on the Lagan's Foundation website. Unfortunately my working day is a Sunday and so we're not able to attend these - though I wish we could. My lifeline through Martha's journey has been the closed Facebook group Lagan's Foundation Cardiac Families Weather it be a parent who's worried about an upcoming outpatient appointment, or a Mummy/ Daddy looking for advice from anyone in a similar position, or someone needs to rant after a bad day - the love and support between the members is wonderful. No one understands the pain and worry of a Heart Parent like a fellow Heart Parents and I am so so glad that I found this group. There is also a group for children with feeding difficulties (Heart related or not) which can be found here Lagan's Foundation Feeding Issues Group. If this post helps one family get much needed support they need, then I'll be very happy.